An E. coli outbreak linked to a restaurant in northeastern Oklahoma has sickened more than 200 people and killed at least one person, state health officials said Tuesday. The Country Cottage restaurant in Locust Grove has been closed voluntarily for more than a week, but an exact source of the contamination has not been pinpointed, state epidemiologist Dr. Kristy Bradley said in a statement. "The complexity of this outbreak and the necessity to be extremely thorough in our investigation means we still have more questions than answers," she said. The state is testing food preparation and serving surfaces at the restaurant and interviewing those who became ill, Bradley said. Health officials first reported the outbreak Aug. 25. The state Health Department said Tuesday that 206 people have become sick, including 53 children. Those sickened range in age from 2 months to 88 years. The outbreak has been blamed for the death of 26-year-old Chad Ingle of Pryor, who died Aug. 24, a week after eating at the restaurant. A spokeswoman for the family that runs the restaurant has described the owners as distraught. A message on the restaurant's answering machine says, "We have decided to voluntarily remain closed today so we can continue working closely with the state Health Department." 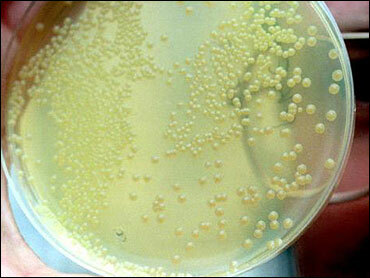 Symptoms of E. coli infection include stomach cramps and bloody diarrhea. Most of those who die have weak immune systems, such as the elderly or very young. Sheila Beaver, a Locust Grove woman whose family ate at Country Cottage on Aug. 19, said she took her 19-month-old daughter, Braylee Beaver, to the hospital nearly a week later after she developed a fever and severe diarrhea. Beaver criticized state health officials for not shutting down the restaurant after the first illnesses were reported to the health department on Aug. 22. Even after a surprise inspection Aug. 23 that identified nine health code violations, the restaurant remained open Aug. 24, the day Ingle died. "Once there were so many people who were sick that had eaten at Country Cottage, I think they should have at least shut it down," Beaver said. "When it's people's lives at stake, they should shut things down. This is a serious disease." But Leslea Bennett-Webb, a spokeswoman for the state health department, said that even after officials were notified Aug. 22 of an outbreak, there was little hard evidence to present to the public. "There was nothing evident on the inspection that would have linked immediately to a major outbreak," Bennett-Webb said. Braylee Beaver ate chicken fried steak, mashed potatoes with gravy and corn from her father's plate, her mother said, but the little girl was the only one who became seriously ill. The girl also at ice cream from the restaurant. She was placed on 24-hour dialysis for three days last week and remains hospitalized in Oklahoma City. "It's been an emotional roller coaster, and I've cried a lot," Beaver said Tuesday from her daughter's hospital room, noting that the little girl was wary of the doctors trying to help her. "When they were poking her, she kept saying 'I'm sorry,"' Beaver said. "It was really hard." The outbreak comes at the end of a summer dominated by news of a salmonella outbreak throughout the country that was ultimately linked to serrano and pablano peppers from Mexico. Locust Grove is a community of 1,500 about 50 miles east of Tulsa.